I hardly ever get to interview successful entrepreneurs behind manufactured products because physical products are much harder to make than software. This is the story of how Gauri Nanda overcame the challenges to make Clocky into a hit. If you’re interested in how to turn an idea into a product that sells, grab this interview now. We cover a lot of specific details here. Clocky is the alarm clock that ensures its owners get out of bed by leaping off the night stand and beeping. Gauri has since followed it up with other products through her company, Nanda Home. Gauri Nanda is the founder of Nanda Home, which makes a collection of charming and useful objects for your home. Three messages before we get started. First, are you still coordinating projects by email and wondering why your not productive? Would you check out TeamworkPM.net? TeamworkPM.net is trusted by Universal Studios, the University of Texas in Austin, the US Army, and other large organizations. But if your just trying to coordinate with a small company, maybe even just two people, it’ll still help make your team more productive. How much more productive would you like to be with TeamworkPM.net? Next, who’s the lawyer that tech startups trust? Scott Edward Walker, of Walker Corporate law. Here’s what Neil Patel, founder of KISSmetrics says about Scott, he says, “Scott is a great lawyer. He is affordable, responds fast, doesn’t charge you for five minute phone calls and always gives great advice.” Walker Corporate law. Finally did you know that in addition to being the virtual phone system that entrepreneurs love, Grasshopper.com has one of the most popular blogs on entrepreneurship? Even if your not ready to get a new phone number from Grasshopper.com, even if your not ready to add extensions to your current phone, even if your not ready to get text based voice mail and stop listening and start reading your voice mail, even if your not ready for all that and everything else that Grasshopper offers, check out Grasshopper.coms blog to learn about entrepreneurship. Here’s your program. Andrew: Hey everyone. My name is Andrew Warner. 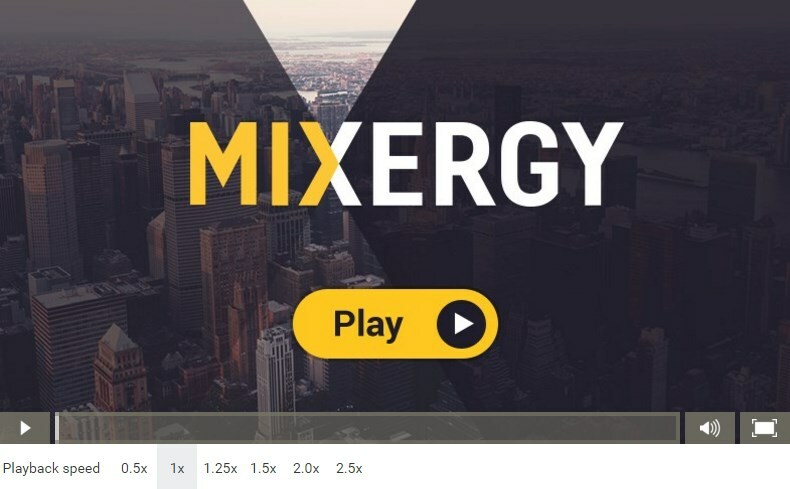 I’m the founder of Mixergy.com, home of the ambitious upstart and the place you come to listen to entrepreneurs tell the story of how they built their businesses. So I mostly get to interview software entrepreneurs here on Mixergy, because, well hardware tends to be hard. But joining me today is a founder who made it work. Gauri Nanda is the inventor of Clocky. An incredibly successful alarm clock that will jump from your nightstand and roll away while it’s beeping tobe sure that you get up and out of bed. And of course after Clocky, she’s built a business around Clocky and other products which we’ll talk about in this program. Within 2 months of releasing, by the way, that first product, her company broke even. I invited her here to find out where she got the idea, how she built up the business, how she’s growing it, and everything else, Gauri, welcome to Mixergy. Gauri: Oh thank you. Thanks for having me. Andrew: So how many, I’m so curious of how you built this up, but today, how many Clockys have you sold? Gauri: We’ve actually sold over 350,000 Clockys so far. And, hopefully that number is going to continue to grow. We’ve seen it grow every single year. And as we bring on more people, more sales staff, that number really starts to increase. But, yeah that should give you a good idea. We just launched Talky, back in August, a few months ago now. And we sold out of those really quickly. The first 10,000 units that we’re just sort of getting back in stock right now. Andrew: What’s the difference between Clocky and Talky? Gauri: So, yeah, the difference between Clocky and Talky, well Talky is actually the follow up to Clocky. and we like to call him sort of Clockys distant cousin or something. So the idea with Talky is that he’s a different type of iconic design. I think Clocky has wheels and Talky doesn’t. So we were hoping to go for something a little more sophisticated with the design of Talky. Talky also has a lot more features. He can upload MP3s, you can record your own voice onto him. He’s also got a time sensitive interface, so that it’s just a little more technically savvy, you could say. Andrew: It’s such a good looking product too. I wish I could communicate how beautiful these products are, here. The Clocky product looks like a clock with a wheel on each side, actually. Talky is like this little ball witha face on it. And it jumps off the nightstand and starts rolling away and makes noises that, my dog actually, I played it just on your website, to prepare for this interview, and my dog from the other room came rushing out to figure out what is going on over here. And of course as we’ve said if people don’t want that annoying noise in the morning, oh I thought for a second that we lost the video. Let’s see if my video catches up, there we go it did. And of course if people don’t want that annoying noise in the morning, they can also record their own wake up alarm. Saying get up out of bed or your going to be a loser for the rest of your life, do you want that for yourself, get up. Gauri: Exactly. Or you could leave messages for people. For your roommates or anyone. So that’s also a fun use of the product. Andrew: How much is Clocky? Gauri: Clocky is $39 retail. Gauri: And we actually have a chrome version as well that’s a little bit higher. And it’s $45. Andrew: Okay. So I found an old ink magazine article, where this was from 4 years ago. Where you projected revenue in the future. And you said 2007 we’re going to earn a million dollars, 2008, $3 million, 2009, $4 million. how close did you come to those projections? Gauri: Well, that was actually before things happened in the economy. Some of our retailers went bankrupt, some of our retailers like Sharper Image. So that definitely effected us. So I would say, you know, we’re close to some of those projections. But not quite there yet. And that’s totally fine, honestly. If it had gone any faster, I’m not sure we could have kept up. Because I mean, I had to work all the time as it is so. Andrew: All right. So what do you feel comfortable saying about your revenues? Gauri: I mean I think you have a pretty good idea from our numbers. The 350,000, but you know we’re close to those. The projections that you just gave, so. Andrew: Okay. All right, fair enough. Let’s go back and find out how you got here. Where did the original idea come from? Gauri: Well, the original idea happened because I could not get myself out of bed on time. And I would hit the snooze button over and over. I remember one morning I hit the snooze button for two hours. So I was actually just sitting in bed ironically, as it would happen and trying to think of ideas. I was a student at MIT at the media lab at the time and so we always had to kind of come up with new ideas and try to just start to try to think in that mindset of design. Which is essentially taking our everyday life and fixing it in a way. And so I’m just sitting in bed thinking of ideas, this idea of a better alarm clock popped into my head because all the alarm clocks out there would just sort of beep at you blankly. And so this just popped in my head of the idea of something that would run away from you but sort of physically drag you out of bed. Because that was sort of the problem I needed to solve. And in addition to just solving that problem, I automatically thought of this product as a character. And really giving it life, I guess it sort of goes along with making people laugh. And so that’s sort of one of the objectives of our company. Is just to create lifelike products, things that have character. You know, basically trying to find the characteristics we like in our friends, in our loved ones and trying to put those into the products we used everyday. Andrew; So I read that after you presented it at MIT, you just put it away, and didn’t go back to it. You didn’t think of manufacturing it on a large basis or creating a business around it.Why not? Gauri: I think a couple of reasons, actually. I think I really wasn’t thinking like an entrepreneur at the time, and part of that may be because my parents are entrepreneurs and they worked all the time. And I wanted to get as far away from that as possible. And you know, just being a student at the time, and I’d seen my parents work a lot and I just didn’t want to do that. And I think that once you become an entrepreneur you sort of realize how it ceases to become work when it’s something of your own. So I think, I was just sort of resistant to that idea. I think also I didn’t necessarily understand the opportunity until the sort of, you know, viral buzz and press coverage happened. So I think once I saw the opportunity, my mind changed. And not just because of money. Although, of course, I wanted to make money. But also because I realized that I had something that made people laugh and people really enjoyed. And I had a vision for it almost instantly. And I wanted to make that vision a reality, so. Andrew: Your parents owned a weekly newspaper in Detroit? Andrew: Was that their business growing up, was that their full time job? Gauri: Growing up they had several businesses. From a store to, and I joke about this, they used to have a video delivery business. But it was VHS tapes back then and unfortunately they could have become Netflix but that didn’t happen. So they’ve had a bunch of businesses but the newspaper was the main one. Andrew: Did you guys talk about business around the dinner table growing up? Gauri: Yeah. Much to my dismay, I didn’t want to talk about business. But they would, inevitably. Gauri: Why didn’t I want to talk about business? Gauri: I mean I wasn’t involved in the business, I was a kid. It wasn’t interesting to me at that time. I think it kind of came across as work. And I didn’t understand, you know, what was behind that. Having a feeling that you have your own thing, is something that maybe you don’t quite understand until you have your own thing and you start doing it, so. Andrew: I see. Did you pick up anything about entrepreneurship from when you were a kid, listening and watching your parents become entrepreneurs and build up these businesses? Gauri: Yeah, I mean I’m sure intuitively I probably picked up some of those things. Andrew: What did you pick up? Gauri: Probably, I think one of the sort of things that I picked up is I wanted to bootstrap my business. And my parents were always sort of doing all the work themselves, very great work ethic and so I think from that angle I kinda only knew about running a small business from that sort of idea of learning everything yourself. And then from there taking it and learning how to grow it. But I think the fact that I kinda took on everything myself, from the marketing, the design and the customer service in the beginning. You know, even shipping packages there in the beginning. I think I learned a lot about ever facet of my business. So that’s why I think it really helped me to kind of grow organically. And not in a way that was sort of unnatural from what I was trying to do. I mean for me to go after venture capital funding, for me, it didn’t really make sense. And so I’m glad I did it the way I did it, bootstrapping it. Andrew: Yeah, that was impressive the way you did that. One more question about pre Clocky. Did you have any businesses as a kid or maybe even at MIT? Did you have any entrepreneurial ventures of your own? Gauri: Not really, actually. The way that my background kind of relates to what I do today, besides sort of having the family entrepreneurial background, is just that I was always studying many different things at once and combining them. Like, my degree at the University of Michigan, which is where I did my bachelors, was a lot like what I did at MIT. Which was a combination of different disciplines and mixing them together. And just knowing how to actually produce in a way that was, you know, produce art, produce media or video or products. And sort of putting that all together. And even still today I sort of use some of the same things I was doing when I was studying my bachelors degree. You know, I also done and edited a video for the company, still today, if needed, you know, if we needed something quick. And it’s just that knowledge of everything. And maybe not being incredibly proficient at everything, having that understanding of that kind of allows you to monitor everything better, I think. Andrew: So you mentioned 2004 you created Clocky, presented it to your class, and soon afterward tech bloggers started to pick it up. How did you see that people were talking about it, in fact how did they even know about what you did in your class? Gauri: I had posted it on the course website, it was a requirement of the course was to start sharing product ideas with the class. And, so I did that, a blogger found it and I actually found out from a friend. I wasn’t like an avid reader of the blog but I definitely had friends at MIT who were.So one night we were actually sitting around partying, and they told me, they saw my product on one of these blogs. And I was like what product, because I kind of had quite a few that I was working on. And my thesis was quite different and I was getting a little bit of press coverage on my thesis at the time. Basically, so I heard about it from a friend and then the next morning the press liaison at MIT called me up and she said I’m getting calls all over the place. And i was like really, I was totally shocked. And I mean really, it happened overnight. And before I knew it I was giving interviews all around the world, radio interviews. Being asked to show the prototype on TV shows and it was kind of nerve racking at the time to be honest. Because i don’t know how much I was really enjoying it because the prototype wasn’t working and I was asked to demonstrate on Good Morning America about a week later and I had to try to figure out how to get this thing working. And at the same time juggle all these interviews that I was doing. I was probably doing about 20 interviews a day, so.In addition to getting a host of phone calls and just you know, it was kind of crazy at that time. Andrew: So then, what made you decide that you had to turn this into a product? Was it the media or was it one media. I know being on Good Morning America apparently was one of the bigger shows, and one of the ones that made you decide to do it? Gauri: Yeah. I think it was a combination of the media, a combination of people emailing me asking where they could buy the product. And I just knew I had a huge opportunity on my hands. And you know, everybody I ever talked to about the product, kind of put a smile on their face and so I think if you can do that, you probably have something. Andrew: So you decide to do this. And I read you went to Allibaba.com to look for a manufacturer. How hard was it to find someone who can take this prototype and turn it into a physical product that you can distribute and sell? Gauri: Actually it probably wasn’t as hard as it maybe would seem. There are definitely challenges but nothing that you cant overcome. I think one of the challenges is you just sort of learn it all from the ground up. You start talking to people, you just start doing it. And then you learn it. And so I contacted some from Allibaba. I also have some referrals from other people in my network. People who have done it before. I really relied on talking to every entrepreneur I could. I continue to do that, I continue to get advice from anyone. And you learn so much that way. I think that’s really the best way to figure out how to do the next thing that you’re trying to do. But yeah I think one of the challenges if your going to go overseas is language. And over the years, I sort of learned how to communicate best with my factory, although it’s still a learning experience. Andrew: You said that you had a lot of conversations before you had the product manufactured. What did you learn from those conversations that helped you shape your decision making afterward? Gauri: Conversations with the factories? Andrew: With other entrepreneurs. That you were doing a lot of research before you actually had it built. Gauri: I think initially I was really benefiting from, really trying to find people who were doing what I was doing. And understand how they had gone about it. I looked a lot of different ways to getting my product into market. I looked at finding a partner, perhaps somebody who had distribution channels and could manufacture a product overseas. And can really take over the whole thing. I realized that wasn’t what I really wanted to do. Well because first of all I couldn’t find the right partner that I thought would make this into something really cool. And I also didn’t want to leave the vision that I had, just on the table. So I also looked at looking at product design firms in the US, realizing that they were way too expensive for me. So I think just kind of hearing from other entrepreneurs that they did it, they work directly with engineers, that they contract in the US as well as engineers overseas. And just sort of learning that perhaps taking my product to China is the best thing because based on the interest, we are looking at building hundreds of thousands of units for these and the Chinese people are very good about scaling up. So I think that just kind of getting those basic questions answered in the beginning was really helpful for me to decide how to go about the business. Andrew: So you decide that you’re going to have it manufactured for your business,that you’re not going to partner with others who are going to do it for you. I wouldn’t even know where to begin to look for a factory. How do you find the right factory that’s going to produce it? Gauri: Yeah, I think the best way is to just network. Again, speak to other people who’ve done it. You know, you can go on search engines like I did. You’ll probably have to weed out a lot. But I think you can weed out a lot just through discussion. Through seeing if the factory you’re speaking with, the engineers you’re speaking with understand your vision. You know just seeing how you work with them. It’s sort of like the same thing if you’re going to hire somebody. You’re going to have a few conversations with them and make sure that you guys are on the same wave length and make sure there aren’t any red flags there, so. Andrew: So do I understand this right? Did you go to Allibaba.com look to see who could manufacture it and put together a list of potential manufacturers call them up from the US, and kind of interview them the way you would an employee, figure out if you jive with them and then pick the right company? Is that the process? Gauri: That’s correct. A lot of emailing back and forth also. I actually after I had sort of, filtered my list down to two, and I filter that list after I traveled out to China to visit with all of them. I think in person meeting is very important. So after that I filtered it down to two, and I started actually protyping the Clocky with both of them. And I think this was sort of smart, I just kind of decided who did the better prototype in the end. So that’s how I picked my first factory. Andrew: So by actually visiting the factories in China, what did you learn that made you say yes to one or no to the other. Was there anything that you saw in person that maybe sticks out and helped you decide? Gauri: Yeah I think the factory I ended up going with, the main sort of manager of the factor, we just sort of jived well together. He understood what I was trying to do. I could tell he had products that were engineered well. And I think it also helped that he learned English actually in Canada. So that definatly helped for our communication. And unfortunately I can’t speak the language out there. I wish I could, but yeah it’s sort of a mixture of things really. Andrew: And now based on your experience today, you might do it differently. Instead of going to Allibaba or any search engine, you might just talk to other entrepreneurs who have had physical products manufactured and find out where they went? Gauri: Definitely. I actually ended up switching factories later. Not because of any personal problem with the factory, but they just couldn’t produce enough when I wanted to. And when you’re working with retailers you really need to be on schedule. So I did decide to go to a factor that could work with me better on the deadlines. And I found that factory just through referrals. Andrew: OKAY. You and I were introduced through Ben, the founder of Zeal. And when Ben came here to do an interview he talked about how that first product took him a long time and many cases that could just lead to disaster. What was it like for you to take your idea and send it to manufacturing? What was that process like? What did you encounter? Gauri: Well it was a challenge at every step. I mean it probably took double the time i thought it would. And that seems to be true of everything, in this business. Everything takes twice as long as you think it’s going to. I’ve just come to accept that I think. Which makes for less frustration, I think, in the end. But I think as far as just manufacturing, some of the challenges are. So I took a year and a half and I had contracted this factory overseas, and I was in the US. So in order to kind of get them to really do things on time, and push my project through when they probably have 10 other projects going on. I found that I needed to be there. And so I just actually picked up and went there. And actually at the time I thought it was going to just take three more weeks. I thought we were sort of that far along. We had some prototypes and I actually didn’t that we actually had about four more months left. So I just stayed there the whole entire time. And ended up living in Hong Kong during that time. So I think you just kind of need to be there and manage every step and make sure things are happening according to your plan. Again,it’s just like any sort of employee or contractor that you kind of want to manage it and stay on top of it. Just kind of be there for it, so. Andrew: How did the product change as a result of the manufacturing process? There isn’t a third wheel, but I know that the product used to look differently. How did it change based on the manufacturing process? How did that influence you? Gauri: Well the original prototype, I don’t know if you saw it. It was covered in shag carpeting and it was made from leggo wheels. I mean that was really designed by what I just had laying around my house. Or what I could pick up easily at Home Depot. So none of that was really thought of when I made that. I wasn’t thinking about designing for manufacturing. I certainly wasn’t thinking of manufacturing the product at the time. So I think when I went to go manufacture it, I personally didn’t like the aesthetics of shag covered clock, although a lot of our fans do want that clock back. But I wanted a kind of sleeker look. I wanted kind of a cool colors and I wanted the item to have a face kind of. Because like I said, it had character and it sort of has a lifelike quality and so arranged the buttons and LCD to arrange as sort of a face, And then you know that also carried onto the sound of the product. I wanted it to almost sound like it was speaking. But in a sort of unintelligible language. So I think those are the main design decisions that I had in the back of my mind, the sort of vision I had. And then, you know, I mean from there I probably had my ideal design. Then I had to work alongside engineers that work through, what is actually manufacturable. So I probably had to make concessions along the way. Andrew: Tell me about one of those. I want to identify with the process and details help me understand it. Gauri: Yeah. So one of the designs I had actually, I had a lot of designs, but a lot of them were based off of these Japanese kind of characters. The eyes set low and set apart sort of long foreheads. I just thought that sort of carried over the feeling that this thing is cute. And it’s there not to aggravate you but be kind of funny. So that was the reason why I went after those sort of design ideas. I couldn’t actually do that because I had to think about how the product has to fall to the floor everyday. There’s big restraints for what we needed to do as far as shock absorbency. So we had to end up making the wheels bigger than the body so that when he falls to the ground he’s absorbing some shock. And so I had to make a sort of design concession there. It wasn’t really what I wanted. I would have preferred a much taller forehead and just different shape. So then from there, because when I learned the concessions, then we had to go back to the drawing board and sort of figure out well how could I make this cute and still get across what I’m trying to send through the visual language. And so that’s kind of what you see today. You’ll go through different design iterations with any product. There will always be constraints. We actually started out with a much smaller version of the product. And that was fine and it worked great but when we did a little bit of user testing, we realized that people wanted it to be a little bigger on their nightstand. It’s still pretty small, but the original was almost too small. So you just kind of learn those things through iterations. Andrew: How did you do user testing? Gauri: Probably not very systematically. Just friends and family at that point. I find that if you show somebody your product or you tell them your idea, you can kind of gauge in that first instance if it’s a good idea or not. You can tell, in their face if people like it or their initial reaction. You can do a lot of focus group testing. We’ve actually done some focus group testing for different products. I find that to be a little questionable. If some of those answers were things that we want to follow. Andrew: Why? Why do you get data that’s not necessarily usable from a focus group? Gauri: It’s something that I’m still kind of working through. We actually did some focus group testing a couple of months ago with Harvard. Well when we did our focus group testing, we didn’t have an actual product there. We kept telling them our ideas and giving them our sketches. But what your doing there is giving them sort of a part of the vision. They might not understand exactly that this is a new product. It’s not something they’ve seen before. And so they’re kind of using all of their past experience to judge something that is new and that they could potentially have an interaction with. Without the actual product there, it’s a little difficult. Andrew: That’s interesting. You’re right. I bet if I was to show a new Iphone or Ipad to someone who had never seen a phone or a touch screen device like that. They would say where’s the keyboard? And without a keyboard I can’t use it. And I see where they might bring their past prejudices to a new device. How many people did you show it to? Gauri: There were about 12 people I think in the focus group. Andrew: I mean when you were first developing Clocky. Gauri: Probably about 20 or 30 people on hand to sort of look at the product. A lot of friends and family. But also there was people at the factory that I was working with, a lot of engineers. Andrew: So for the person in my audience who is looking to follow your path and develop hardware. If she were to take her product out to 20 or 30 people, do you think that would give her enough information to develop the first version? Gauri: You know, I would hate to say that that is going to give you enough information. Like I said, we’ve never really done it systematically. We even have this new product in the works, which I can’t talk about quite yet. You know I just know that every time I tell somebody about it, somebody that’s close to me, I get an amazing reaction. And so I know it’s going to be a successful product. And maybe that’s not the right way to go about it. But it’s work for us so far, so. Andrew: I was going to say, it worked for you. Alright so before I continue with the story forward, I want to fill in another gap. We told my audience that they need to talk to other hardware entrepreneurs and find out where they’re getting their products manufactured. Where can they connect with hardware entrepreneurs who would give them feedback? Gauri: I find that people want to show their experience.I don’t know, I think it’s something in human nature to want to teach and to give back. So I honestly sometimes I randomly reach out to somebody, I actually one of the companies that helped me out in the beginning, I actually just read an article about them in the Sunday Boston Globe. And I emailed them and I said hey I’m also starting this company and I have a couple of questions. They invited me to go hang out and talk to them. I just asked a bunch of questions that were on my mind. And it’s just about reaching out to people. There really isn’t like a science to it. Andrew: Okay. All right. So let’s continue forward. We’ve talked about where the idea came from, we’ve talked about how you had it manufactured. The next step then is to actually find customers. How did you find your first customer? Gauri: I actually had my first customer probably about a year before I had a product. So because of all the initial press coverage over the initial prototype that I made at MIT. I started a mailing list on my website. And I just started collecting all the emails. And before I knew it I had ten thousand people that wanted to purchase it right away. So for me that wasn’t a big deal. Obviously not everybody is going to have that experience. But I think the best advice I can give is when you have something that you can start selling and have your website up, you just have to reach out to the bloggers and start getting press coverage. Start getting people to talk about it. Andrew: You know, in your experience you didn’t have to go out to the bloggers and get them to write about you and send traffic to this landing page, they were just doing it. I can imagine then if again going back to the woman who is listening to us right now. Who says I have a hardware product that I want to create, it’s probably going to take her as long as it took you to launch it. I can imagine then that you would say over that period of time,I’m going to create a landing page, because if that’s what worked for Gauri then it’ll work for me. I’ll collect email addresses and I’ll start talking to the bloggers about what I’m building. And maybe show the sketches and the first prototypes and build up interest that way. And collect an email list of potential customers. Gauri: I think that’s a great idea. Especially in engaging your customers. Of course you hear this all the time engaging your customers and making them feel like they’re apart of the process. And really utilizing that information from them so that they are apart of the process. It could definitely be a sort of win, win situation there. Andrew: How did you do that? Did you need to engage your customers beforehand and get feedback from them? Gauri: I probably didn’t at that time. I was so overwhelmed with the press and focusing on getting the product designed and out there. Figuring out how to get a product out there. I probably didn’t do that very much. Now we definately are beginning to do that in a big way. We have a lot of plans to. You know you hear the buzz word a lot today become transparent and I definately believe in that. You know, letting our customers in on the development. It’s a fine line you kind of walk, because you can’t give away all your ideas. When the time is right I think you can start to talk about your product even right before it launches. Andrew: How long did it take you from finding a manufacturer to having a product you can put in your customers hands? Gauri: It took me a year and a half. Andrew: Wow. How painful was that process? I would image it would take me two month. I know the product, I know the customers, let’s make it happen. Gauri: Yeah. It was painful. Of course going into it I thought, oh six months. Because you hear time may be three months and you know you have a design in your hand and you want to build it. It doesn’t quite work like that. Andrew: Wow. Okay. So that’s good to know too. You now have the product, you go to your mailing list and you can sell it to them. What about, I guess you sold it on your site directly to them right? Gauri: We sold them on our site directly, initially. We sold out of that first thousand units in no time. And we went back to the press though, as well. I had a lot of contacts from our initial press run. As luck would have it press wanted to talk about the product again. And then from there, I started reaching out to retailers. Andrew: How did you get your first retailer? Gauri: So I should say first, because of the press, a lot of retailers came to us. So they started hearing about us and were sort of waiting for the product to come out. But I did reach out to some. For example the Museum of Modern Arts store in New York. I reached out to them and they were very easy to work with. They are a great retailer. And it’s a little daunting to go in there for the first time, with your first, sort of, meeting with a retailer. But you just kind of get over your nerves and now it’s old news. Andrew: So they contacted you first and told you they wanted to but this. You then had a contact that you could go and talk to? Andrew: Again going back to the person in my audience. If they have this product now, and it’s time for them to go and find a retailer. How do you find the right person, within the store to show the product off to? GaurI: Yeah, that’s not necessarily easy. I mean you could do submissions through the general website and hope that somebody will like your product enough to read it. But the get a lot of those submissions. Like I said getting press coverage and focusing sort of on the marketing fact. I think getting the word out, that helps bring people to you. And so instead of trying to force your way into finding people. Although we go to trade shows and that’s a good way to make contacts. Networking again. Andrew: Yeah, okay. All right. So here’s another small tactical question, but I’ve got to ask it. How do you find the right trade shows to go to? Gauri: Our sort of focus in the beginning were on sort of the gifty stores. More of the higher end museum shops. Things of that nature. So we always went to the gift shows like the New York gift fare is one of the bigger ones. I think depending on your industry you want to talk to other people and find out what the shows are that are doing well at the time. Because really the trade show landscape changes every year. I don’t find it to be terribly consistant. The new shows popping up and they’ll be a lot of buzz around a new show. Or maybe just stick to the sort of classic shows. I think at this point trade shows are difficult for a small company to go to. You know you have to set up a booth and it takes away about a week of being at the office. Of course there’s travel and budget expenses. And it is really expensive to get a booth so you want to make sure to stick to some of the bigger shows in the beginning. If you have a gifty item, the New York Gift fair is pretty great. Consumer electronic shows is another one we do. It has just so much traffic. Your going to make contacts there, you can pretty much guarantee that. Andrew: It sounds like again, that’s another reason you might want to talk to other entrepreneurs in your space. Because they know which trade show is hot right now and which one is just no longer interesting. Andrew: So one of the things I read from that ink magazine from way back when is that you turned profitable within two months of sales. Or you broke even within two month. It sounds like you broke even right away because you had a customer base. Is that right? Andrew: It’s because you had the email list of ten thousand people who were interested before you even produced it? Andrew: Okay. So far everything that we have talked about has seemed so smooth. Except for the length of time it to produce the product. Was there any big setbacks that just made you question the decision that you made? Gauri: Actually, I don’t mean to make things sound smooth, because they weren’t smooth. Actually I thought after that first year and a half of designing the product and working directly with the factory and my three weeks, I went out to China for what I though was going to be about three weeks. Ended up being four months. All of that was pretty stressful at the time. I’m sort of pushing to get the product out because the press keeps talking about it. And I feel this enormous pressure, it’s a time sensitive thing before all the press starts to lose interest. And so after I got the product out, after a year and a half I though oh that’s it. Now I’ve done the hard part and that’s over. That couldn’t be further from the truth. From there I had actually contracted a warehouse in the US. So I shipped all the products to the warehouse and realized after working with them that they were just the wrong type of warehouse to work with at all. They didn’t know much about online distribution and so that really hurt me. I was struggling to kind of get them to the place they needed to be at to work with all of these direct orders. And so that was a big challenge definitely. And I didn’t have a lot of help. I was doing most of this myself and some of my family and friends were helping, but when it came down to it, this was actually right before Christmas, a week before the holidays and I was basicly spending my entire holiday trying to ship orders out. And answer customer service emails and process credit cards all of this sort of new stuff that I didn’t know much about. And then it just go worse. Because we actually had our shopping cart crash. And a lot of the orders sort of went missing. And it was a lot of just sorting through the system. Getting all of that data out of there. And so I think it was just, we got a lot of traffic through the website and it just wasn’t up to par. And so just not having the right infrastructure in place, not having the right help in place. All of that was a huge lesson. That being said it took me awhile after that to find the right people to work with me. Another big learning process is to find employees that work with your team well, that are going to sort of be what your looking for. And sometimes you don’t necessarily know what your looking for until you’ve made some mistakes. Andrew: Wow. I wouldn’t have even thought of the warehouse. And it’s the warehouses job to hold onto all the merchandise. But also to take your orders and ship them out. Was there ever a time when you had to go in personally ship out and put everything in envelopes and send them out? Gauri: I mean I would do that at times, and I still do that sometimes. I actually send out a sample to a customer and want to personalize it. A sample to a retailer or something. Actually I have another package I need to get out today. But I never actually went into the warehouse. It was actually located in a different area then I was in. But I would have some stock of inventory at wherever I was staying and I always have some on hand in case there’s an emergency. Andrew: Why did you keep going. There are any number of people who would go through this process and say you know what it’s too tough. I’m not in manufacturing I have this other vision for my life and now I’m getting myself into this. I’ll come back to it later. Why don’t you just stop. I don’t have any investors who are pushing me to do it. Gauri: You know, I went through the hard times. I didn’t really want to stop. I mean I enjoyed what I did, even though it was hard. So I think any entrepreneur will say that the work doesn’t really feel like work. You know, like I said, for some reason I had a vision. I don’t know why or where this vision comes from but I have a goal in mind with the company. With the brand and I’d like to see it happen. I don’t know. Andrew: I remember reading about you in Switch, the book Switch. You must have just been, for me it was man she’s so impressive she’s in that book. Was there one thing like that that was especially exciting for you? I mean was it being in Switch, was it about being on Good Morning America? What was the moment where you went man I can’t believe I’m here? Gauri: Definitely the moment for me was the cover of Inc magazine. That was unexpected and I was taking photographs as part of that article. They paired us up with other more seasoned entrepreneurs and so I’m taking photographs with Gordon Seagle [SP], the CEO of Crate and Barrell. And he’s such an amazing man, and he’s giving me advice while we’re taking pictures together. So that was definitely a great experience. And there were other times, other conferences that I gave speeches at. Just giving advice to other entrepreneurs it’s always very fulfilling, I guess to feel like there’s a purpose there. I think one of the nicest stories I have was, a mother and her child had seen my interview on like the Donnie Doyt show and she contacted me and told me that her daughter had said she wanted to be like me when she grew up. And of course that’s so flattering. Andrew: I saw you on Donnie Doyt show in preparation for this interview. And you were just so good on it. I’m wondering did you do any media training in preparation for it? Was there somebody who coached you? Gauri: You know, it’s so funny, because that interview, when I was doing it, I felt like I was giving one of the worst interviews of my life. I don’t know. I had just met him like five minutes before. There was like no preparation. At this point, I’m pretty comforatable telling my story but in the beginning it was really nerve racking at first. But you kind of get over that after you do it the first few times, I think. It’s like any sort of public speaking. I think if you know your story well, and you know what you’re communicating well, you’re probably not going to be nervous. Andrew: What was the biggest challenge in telling your story and getting it out there clearly? Gauri: I think definitely hadn’t done much public speaking and one of the things that I had to realize is, not to sort of make it into an academic talk. You know, like perhaps you would give in a school project. I realize that people are more engaged with the story and the personal side of things. And to make it light and make it accessible so I was kind of struggling with how to communicate that. I think maybe one day I’ll write a book, and I’ll understand that better. Andrew: I would love to understand it better. Because, you know what, I could see myself saying there are lots of people who need clocks in the world. They don’t wake up and the snooze button is the most used button on the phone, whatever, like explaining it that way. Another way is to say I had this project for school and people loved it and I had to take it off. But you told it and connected it to yourself, you needed this product yourself. You then said that the world wants it. That story seems easy and it’s clean and it’s easy to remember. It must have taken a little while to figure out. How did you know to connect it to yourself, and to be open about your issue with waking up and to make that part of the package? Gauri: It just really happened organically, in speaking to people about the idea. Before I ever actually made a prototype I had this idea and I would talk to my friends about it. And just seeing their initial reaction, seeing what they would say. So whenever I tell people about Clocky, a lot of people haven’t heard about Clocky and I tell them my company makes the ultimate alarm clock that runs away from you. And automatically I get a laugh or a smile. And then from there, like, it’s almost instance, they’ll be like oh I need that or I know somebody who needs that, you know. And they’ll go into this big story about someone in their life that has an alarm clock and they put their alarm clock on the other side of the room. And I’ve heard this story like millions of times, but I think just that kind of sharing, hearing other peoples stories and them hearing mine. You realize what engages people and what should be communicated in the story I guess. Andrew: How did you decide what product to follow up Clocky with? Gauri: That’s a good question. I think with Clocky you definitly getting a lot of the feedback whether your asking for it or not people will tell you what needs to change. What they would like to see in a follow up product. And so we really wanted to make one that still kept the simplicity of the design, our company is definitely about simple design, and you know, not overloading it with features. But things that will still be useful. And I think that there’s a common thing. It’s very easy to say our new product records messages and you can put your favorite music in there. I mean that’s a really easy thing to communicate. And so we wanted something that could do more and be more customizable. And be more personalizable. Because another thing about the product is that you can cover it with skins, of different colors, to match your room. You know and that also lends itself an opportunity to do things with limited edition versions. So we’re potentially working with a lot of artists and entrepreneurs right now. And musicians and also charities. So there’s just a lot we can do with getting the word out in alternative channels. Because we’re really interested in sort of going beyond retail and ways that we can partner with companies. And sort of help get their word out, if it’s a charity and help contribute back. So we love the idea of making something customizable, something that had these product extensions kind of built in. So that was sort of the reason why we came about that. I was kind of also like I don’t want to only make clocks. But I think this was the next logical step. But we are working on other things that go beyond clocks. Although we do have one more clock in the works. Andrew: Okay. Yeah, so you intentionally picked a company name that would give you room to create broader products. How did you come up with the company name? Gauri: Well the company Nanda home, you know, Nanda is my last name. I was struggling to find a name, but I wanted something, you know, I just felt like the truest name I could come up with is my own name. So there was something that was me in the brand name. Because we do come up with all of our own ideas and in addition to that, Nanda in Japanese means what is it. Which is kind of so perfect for the company because we’re not making iterative changes to products, we’re kind of reinventing products and completely different things that people haven’t done before with products. I think it just sort of fit, in all angles. Gauri: Well all of our products are sort of focused on the home. Andrew: Okay. Simple as that. We started off the interview with you saying you weren’t sure you wanted to be an entrepreneur because of the hours, we heard about how in the early days you had to actually move to China to spend hours and hours and hours getting this product created. What are your hours now? Gauri: Well, I really worked pretty hard towards living a more balanced life. I think it’s great that we used to work 80 hour weeks and I could still if I wanted to. But for me, I’ve realized that happiness happens when your living a more balanced life so that’s really important to me. I don’t know I probably work 40 to 60 hour weeks right now. But you know, my hours, are sort of all over the place. I’ll work on weekends and take a Tuesday off or something like that. Andrew: Do you work from home? Gauri: I work from home primarily. I’m usually off and on the road so I often work from the road. Andrew: Are you at home right now? Gauri: I’m actually at home right now, yes. Andrew: I was going to say that’s a beautiful place to be working, great backdrop. Andrew: Cool. All right. So the website is Nandahome.com and that’s where you can see all the products and actually watch them as they work. Thank you. Gauri: Thank you. No, thanks a lot for having me. Andrew: Thanks for doing the interview and guys, thanks for watching. Check out Nandahome.com. Alright I’m going to send this to Joe for editing so we can actually have it up by this weekend. Gauri: Okay. Great. Will you shoot me an email when it’s up? Andrew: Absolutely. Is there a picture that you want me to use with this post? Gauri: I can send you some pictures, yeah. Andrew: And I can find some online, but if there is one that you prefer I will like to use that one. Gauri: Sure. There’s the main one that’s on our website, I’ll send that to you. Andrew: Okay. Sounds good. Thank you. Gauri: And sorry about all the confusion about scheduling and all of that. Andrew: No I really appreciate, stuff like that happens but I really appreciate you doing this so I could get this to Joe today and give him something to do today. Gauri: I’m glad you guys are on pacific time zone so it’s not terribly late there. Alright. Take you. Bye. Andrew: Thank you Joe for editing.